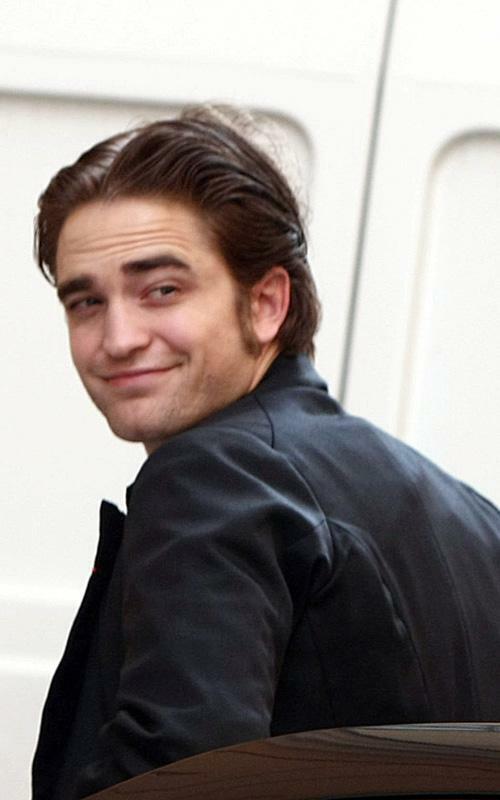 12 Responses to "NEW: Robert Pattinson Smiles, ’nuff said"
I LUV TO SEE HIM SMILEING !!!!!! Rob is always handsome, kind. I love seeing him with his black diary. Always adorable even tired, after work. Are they done filming in Budapest, but moving the set elsewhere, or done filming the whole movie? Be still my heart!!! When Rob smiles all is right with the world!!! Rob looks great but totally spent!!! Poor baby needs some serious zzzz’s!!! Hang in there Rob it’s almost a wrap. He could use his smirk with me. I really wouldn’t mind! lol He is absolutely gorgeous!